During winter, it’s inevitable that your car windshield is going to get covered with ice and frost. Although removing this is a time-consuming inconvenience, driving when the windscreen isn’t clear is dangerous and illegal. Here are some fast ways to get your windshield de-iced. Get Your Car GoingTurn your car’s engine on to warm it up. If your car has a defrost setting, switch it on and let it get to work thawing the windows. This should take around 15 minutes. As tempting as it might seem when you’re in a hurry, don’t pour hot water on to the glass to get rid of the ice. According to the Plymouth Herald, the sudden heat can make the glass crack. If the temperature is very cold, the water may even start to freeze over again, creating even more ice. Some experts swear by spraying the windscreen with a suitable saltwater solution, as the chemicals in the salt cause the ice to melt. You could try using table salt if the temperature is above freezing, but anything lower than this and you’ll probably find road salt more effective. A solution made from alcohol and water can also shift ice from your screen, and a bit of soap added may also help matters. Alternatively, there are lots of formulated de-icers you can buy in shops that do the job just as effectively. 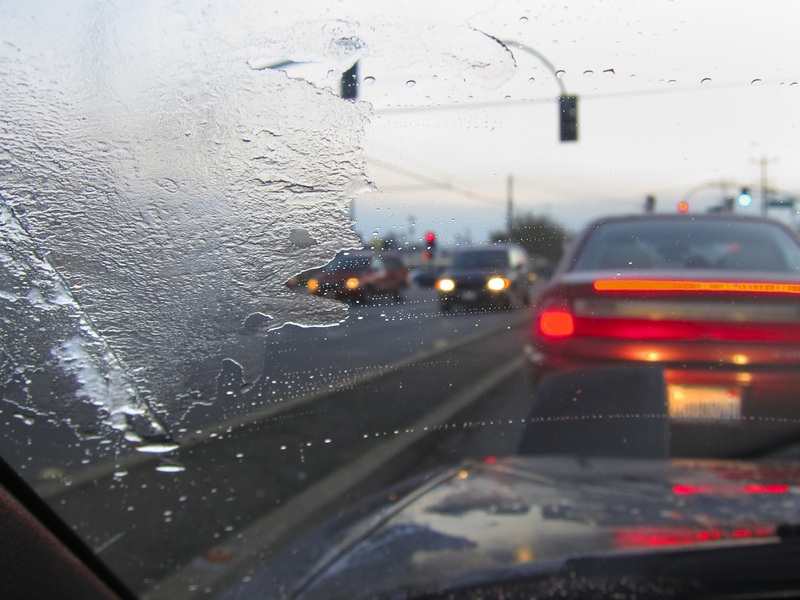 You may have heard of people using vinegar solutions to de-ice windshields. Experts reckon that this is best avoided, as it can damage the glass. Whether you have a vehicle with van plylining from https://www.vehicle-accessories.net/interiors/van-linings/van-ply-lining or just a standard car, it’s always wise to have supplies in case of situations like this. One must-have accessory that should stay in your vehicle at all times is an ice scraper. Usually made from plastic, and with a blade on one end and a handle on the other, an ice scraper is a godsend for banishing ice from your windscreen. Choose an ice scraper with a long handle to reach as much of your windshield as possible. If you haven’t got an ice scraper to hand, never be tempted to use a credit card instead, as this could damage the glass. Cover your vehicle’s windshield to prevent ice from forming on it in the first place.